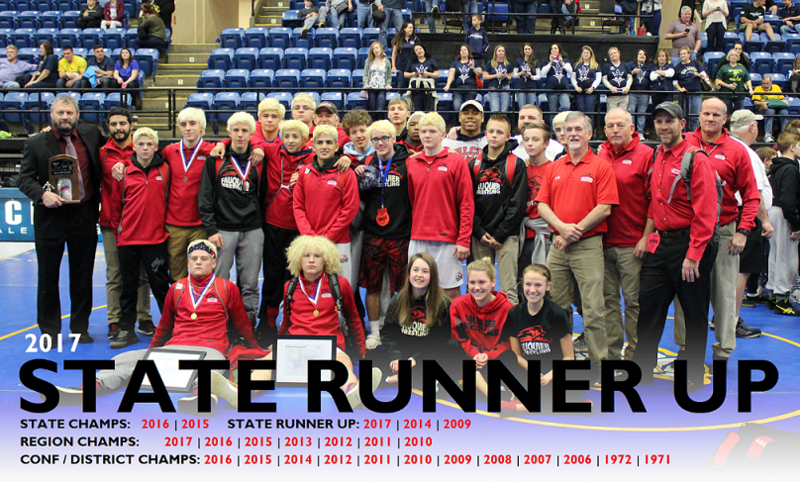 Going into the 2017 wrestling post season the 2016-17 regular season really did not have anything special that could be chosen or picked from to make the Greatest Moments and Achievements. Not that the 2016-17 Falcons were any different than past years as the consistent of team effort that is put into the Falcons practice room, the in-season moments just did not turn up. Team Fauquier are the 4A State Runner up. Next Week: Team Fauquier will travel to Salem, VA for the 4A States which will take place on Thursday Feb., 16 , Friday Feb., 17 and Saturday Feb., 18. Details of this event will be posted this week. Team Fauquier finishes in 2nd place with 183pts behind Liberty with 187pts. 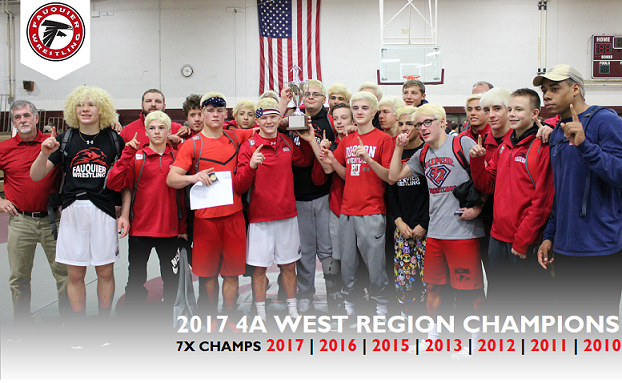 The team advanced 11 wrestlers to Regionals with one possible wild card. Going into the final two rounds team Fauquier trailed by 38.5pts and went 4-1 in the Consolation Finals and 5-2 in the Championship Finals. Fauquier and Liberty actually had a tie score leading into the last head to head match. 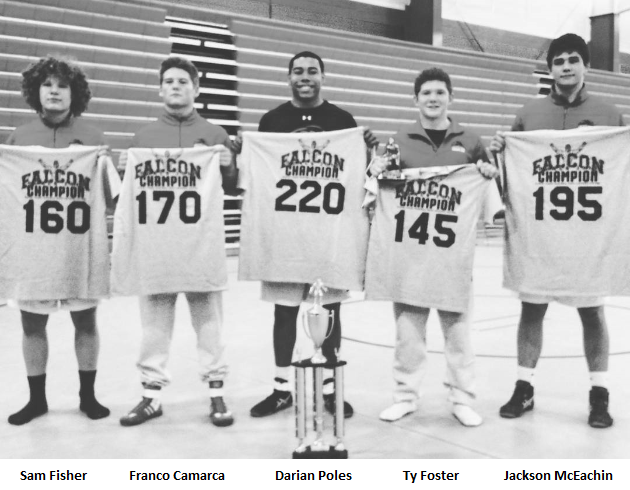 Below are the wrestlers that earned 1st place for the Falcons. Next Week: Team Fauquier will travel to Amherst HS., Amherst VA for the 4A Regions which will take place on Friday, Feb., 10 and Saturday, Feb., 11. Details of this event will be posted this week. 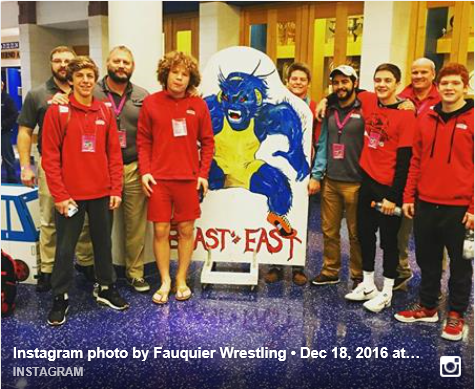 On Saturday, Jan. 7th the Fauquier Wrestling team travelled to Wingate, PA and competed in the Bald Eagle Area Duals for its fifth event of the 2016-17 season. Earning a win against Jersey Shore in round three the Falcons ended up falling to four other PA teams during the BEA duals. 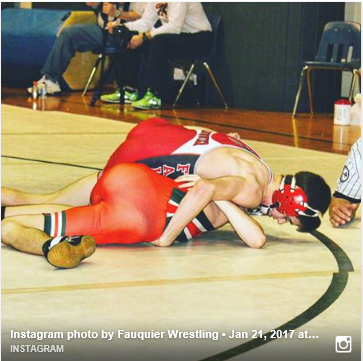 As team Fauquier ended up going 1-4 at the duals they now rest at 6-4 for the year. The complete team box scores are listed below as many of these individuals matches were very close coming down to the final period of each bout. Coach Fisher took most of the squad to this event as many new faces got a chance to get some varsity mat time. Some of the individual stand-outs were Sam Fisher who went 5-0 and Franco Camarca and Kyle Budd who both went 4-1 for the day. 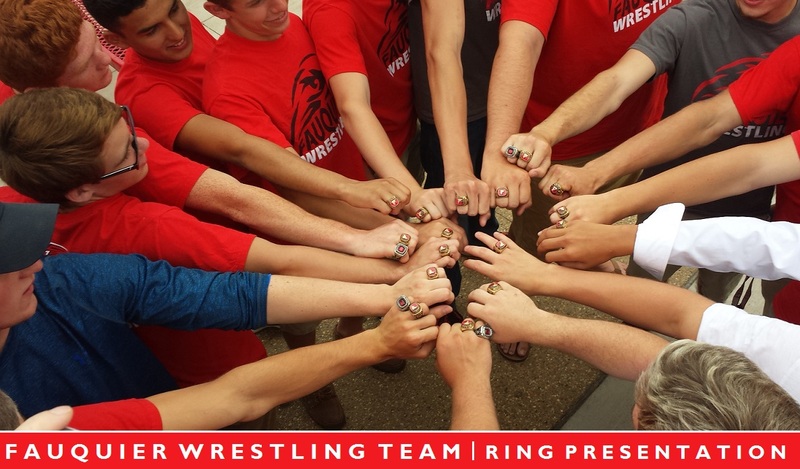 What�s Next: After competing in may individual wrestling tournament the first half of the season the Falcons will now continue to wrestle dual match play. 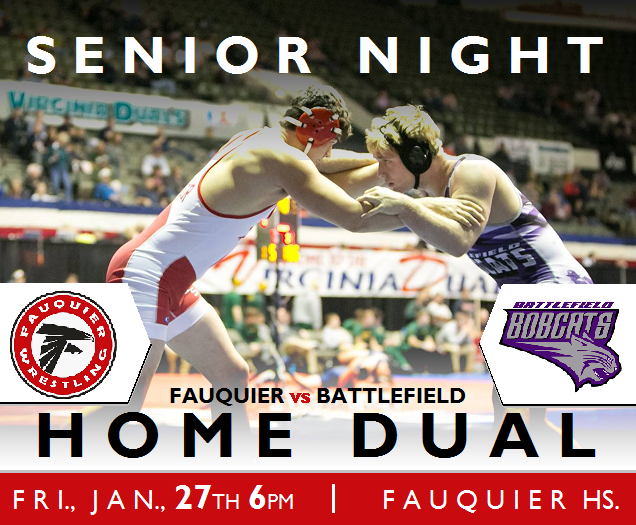 Team Fauquier will return to action as they will travel to the 37th Virginia Duals in Hampton, VA next weekend Jan. 13th and 14th. 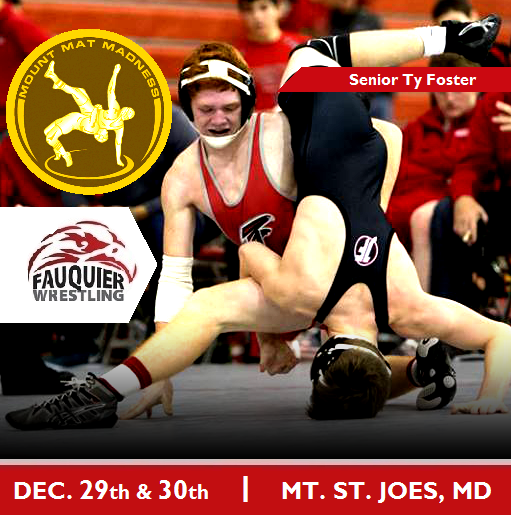 On Thur., Dec. 29th and Fri., Dec. 30th the Fauquier Wrestling team travelled to Maryland for the 13th Annual Mount Mat Madness 31 wrestling team tournament as the Falcons ended in 12th place with 4 wrestlers placing. This was a double elimination tournament placing wrestlers into individual brackets and advanced forward through the champion rounds as they won. 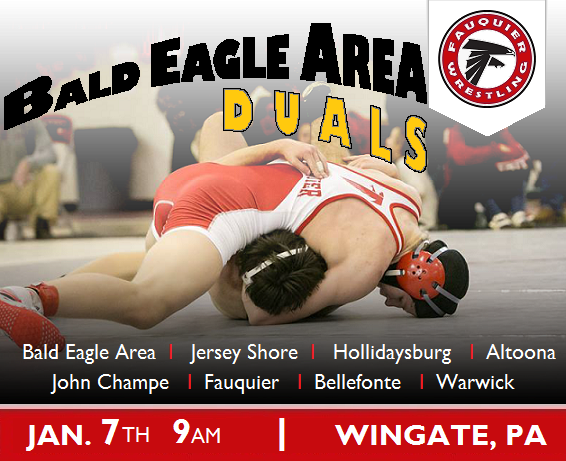 What�s Next: The Falcons will look to hit the mat the beginning of 2017 on Saturday Jan. 7th Bald Eagle Duals in Bald Eagle Area, Wingate PA. 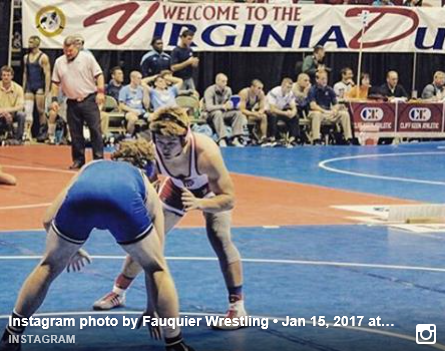 The Fauquier wrestling competed at the Elite Opener, Skyline HS on Sat. Dec. 3rd in Front Royal, VA. This was a Varsity 12 team Round Robin Tournament. Fauquier ended up in 8th place out of a 12 team field with 233pts. 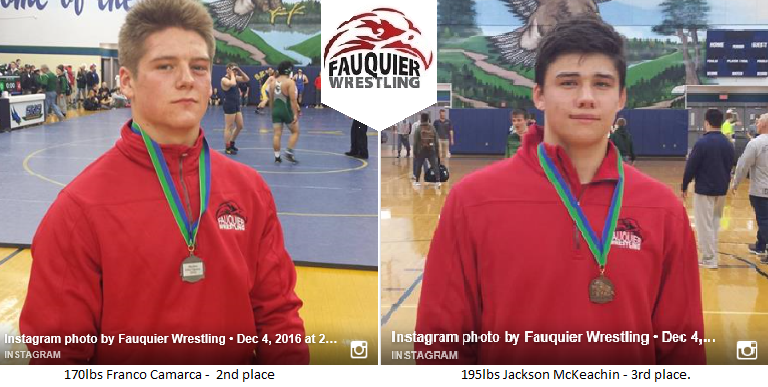 Congratulations to the following wrestlers for placing in the 2016 Elite Opener: 170lbs Franco Camarca - 2nd place and 195lbs Jackson McKeachin - 3rd place. High School - (Falcons) Mon., Nov 7th at 11:45 am. Travel team - (Warhawks) Wed., Nov 9th at 6:30 pm. Recreational team - (Patriots) Tue., Nov 15th at 6:30pm. See the next post below for Travel and Recreational Teams Registration. 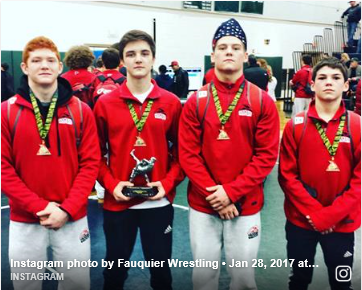 On Saturday, September 3, four of the Fauquier High School wrestlers competed at Skyline HS. in Warren County in hopes to qualify for the national Super 32 Challenge in North Carolina in October. 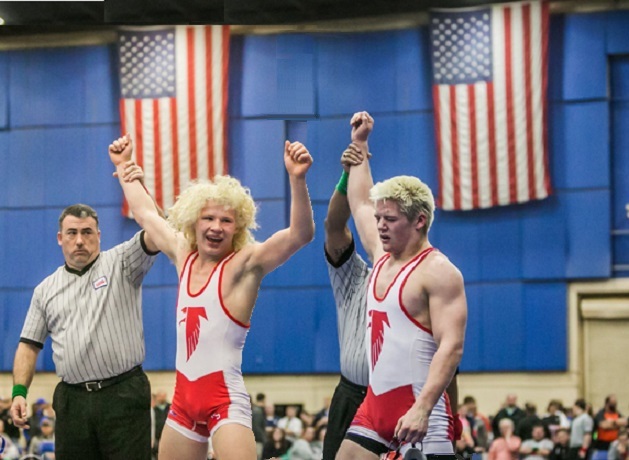 The Skyline qualifier was sold out with 350 High School wrestlers competing. Wrestlers from VA, as well from WV, MD, PA, OH, NC, and NJ where in attendance. 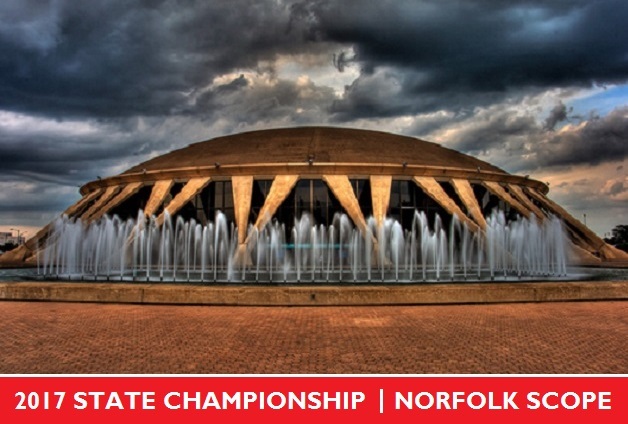 The 17th Annual NHSCA National Duals is set for May 28 through May 30 in Virginia Beach Convention Center, Virginia Beach. 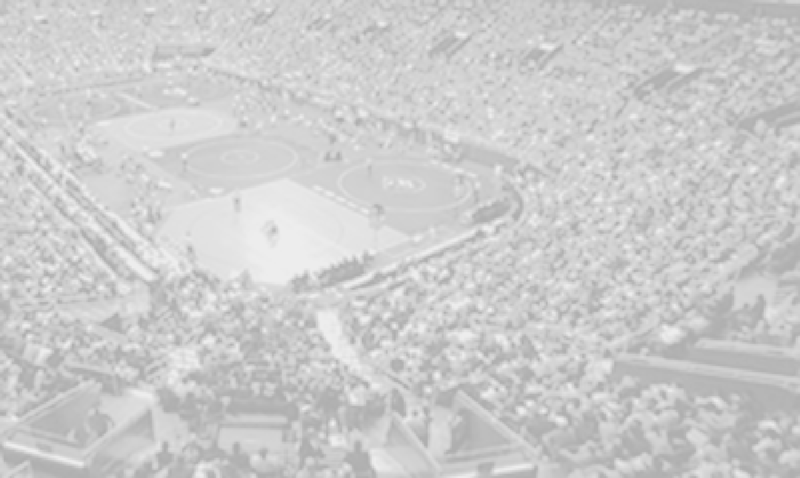 The National Wrestling Duals will have over 300 teams with over 4,000 individual wrestlers representing 26 plus states competing in this event. 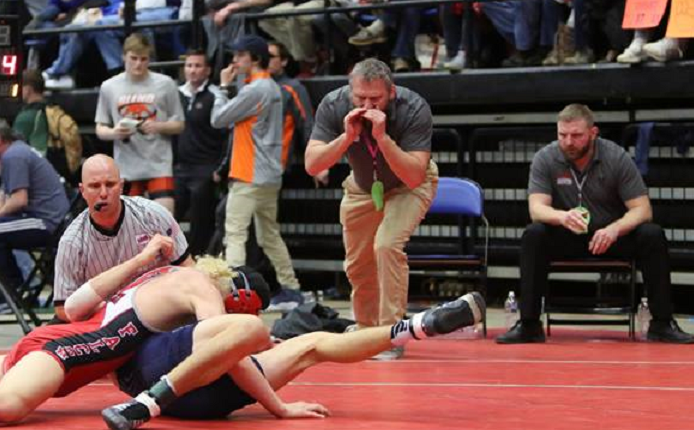 A team oriented event as the level of wrestling should prove to be tougher than any you�ve faced throughout the year as top state wrestlers will be in attendance. Participants from the top 5 place finishing teams will be officially declared All-American Team Members. 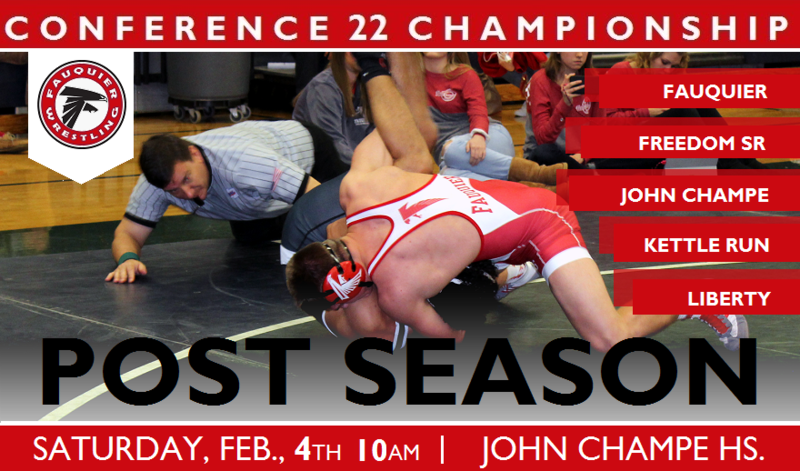 As NHSCA will be hosting this event FloWrestling will be streaming the results. The Fauquier Sports Foundation volunteered on Sunday, May 15 at the Bodies in Motion 5k and 10k race held at the WARF. The race is sponsored by the Blue Ridge Orthopaedic Foundation, and all race proceeds benefit the local community.